Fantastic cottage, just right for 4 adults and 2 children. Lovely and warm, great facilities and brilliant if you are bringing a dog! Lots of nice little touches, such as tea, coffee and biscuits waiting for us on arrival, dvds for the children to watch and some dog friendly blankets for your pampered pooches. Would definitely recommend. The accommodation was excellent with lots of extras. Overall a lovely place and we do certainly plan to come back. The quality of the appliances in the cottage was great. The owners were very helpful and informative. 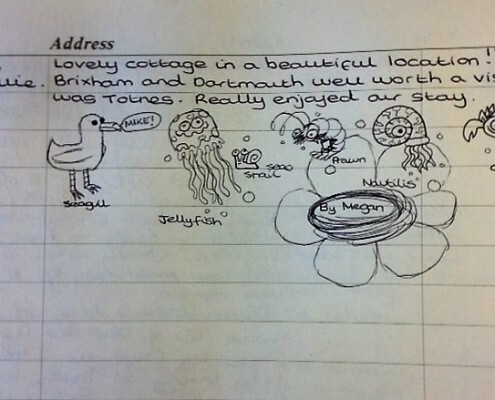 It was helpful to get ideas of places to visit. It was a nice touch being able to borrow a barbecue while there as well as beach stuff. A lovely idyll in South Devon. We booked late and didn’t have dogs, but our young boys loved exploring the grounds, the woods, playing games on the grasssed area and running free. Ruth and Jon are perfect hosts and the facilities are just what we needed. Just the perfect hosts. Great facilities, lots of information about local beaches etc. Definitely be back again. Great beach at Bantham Beach especially the dog friendly area. 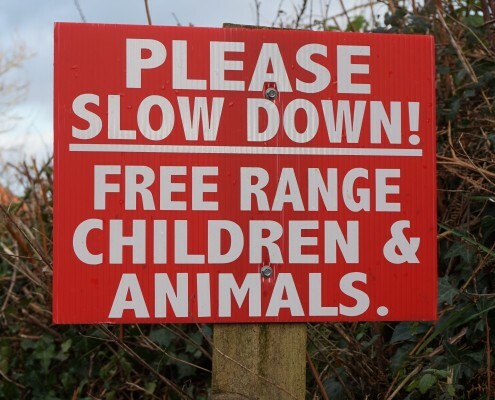 Children are welcome at Dittiscombe in South Devon! 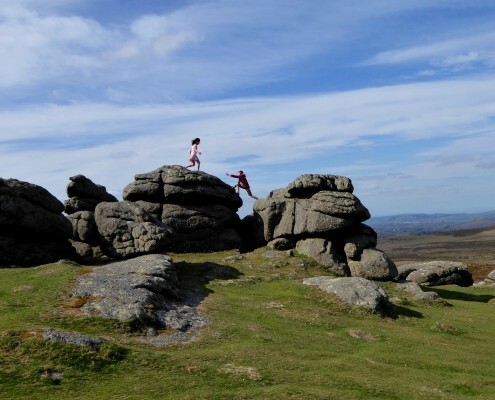 There are miles of perfect beaches and well-trodden footpaths, hidden coves and tumbling surf, indoor play and historic sites, so there is something for children of all ages. 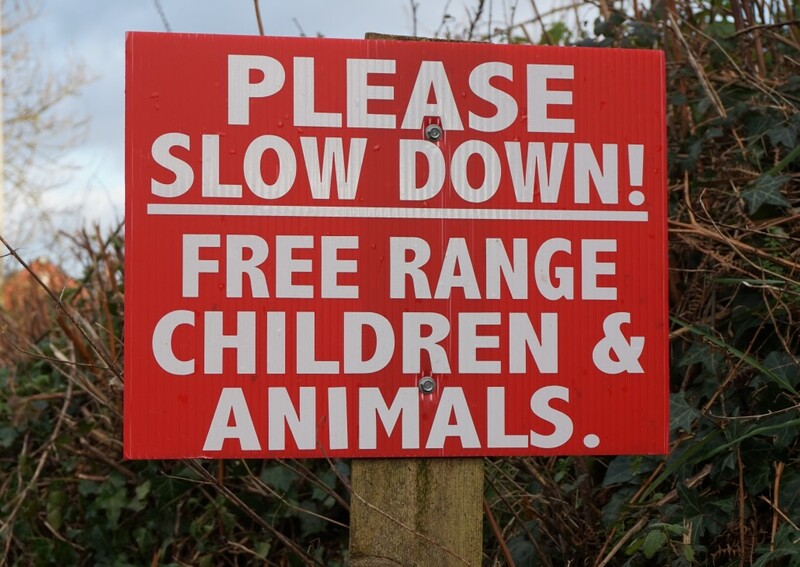 Children will love the fresh air and freedom at Dittiscombe. There is a play area set under the trees with a picnic table, swings, slide, small climbing wall and a woodland area, and there is a separate flat area for ball games. 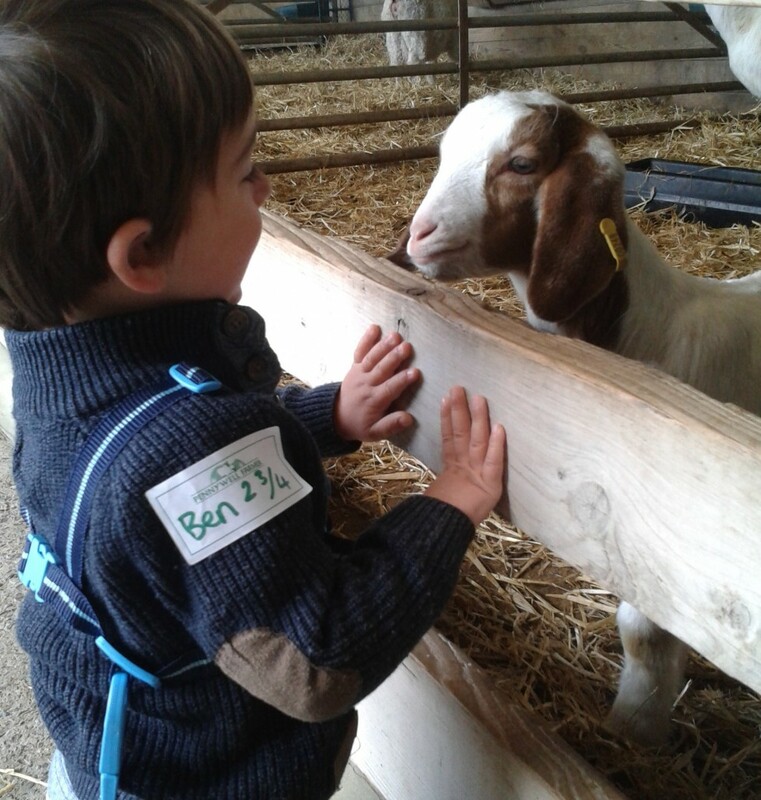 All cottages have private gardens and access to our wildlife valley with ponds, woodland and meadows to play and explore in. 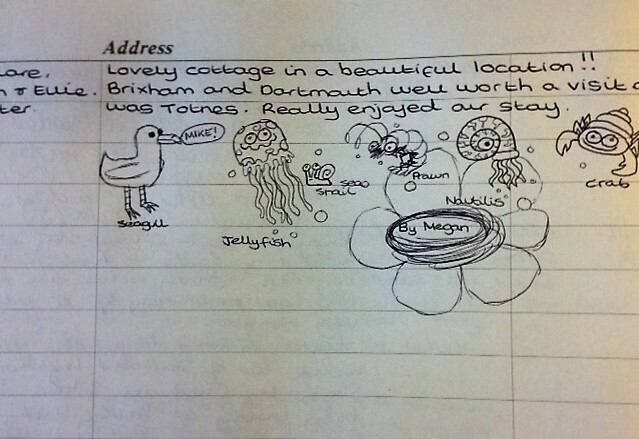 In each cottage there is the Dittiscombe Wildlife Detectives Pack to help identify those all important nature finds. 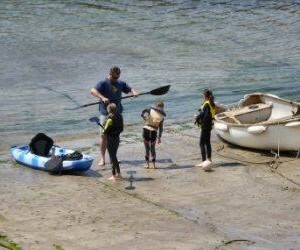 We also supply crabbing lines, balls, games and bodyboards. 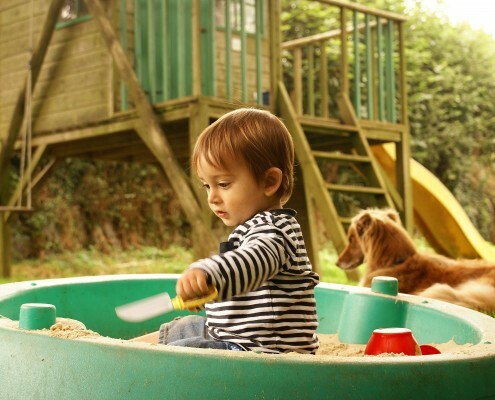 At Dittiscombe we have a selection of five family friendly cottages sleeping from 2 guests and a cot, up to 6 guests in the 4 bedroom cottage, Willows. You can bring the family dog too to complete the holiday! Nearby there is a selection of award winning beaches – from rockpools and wide shingle beaches, to fine sandy bays and coves. 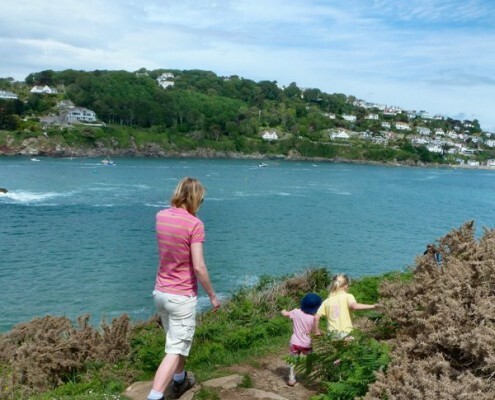 Have a look at our Beaches page to find out more about local beaches. Slapton Ley Field Study Centre in Slapton, just 2 miles from Dittiscombe, organises weekly events, usually free, staged from May to September including a Badgers and Bat evenings, family fun with mini-beast adventures, guided walks within the sanctuary areas of the nature reserve and canoeing on Slapton Ley. A 20-minute drive away near Beesands you’ll find Forest & Beach, (2019 National Champions of the Rural Business Award). 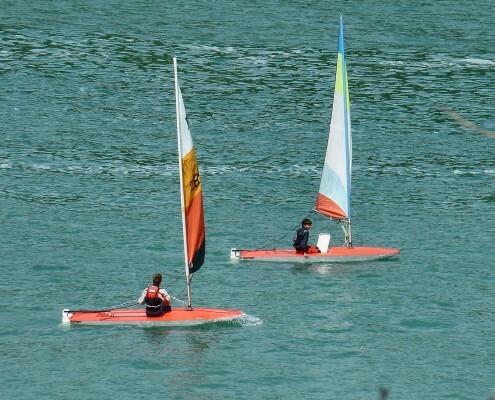 It’s an environmental and outdoor pursuits base for children, all set within lovely woodland and just a mile from the beaches of Start Bay. 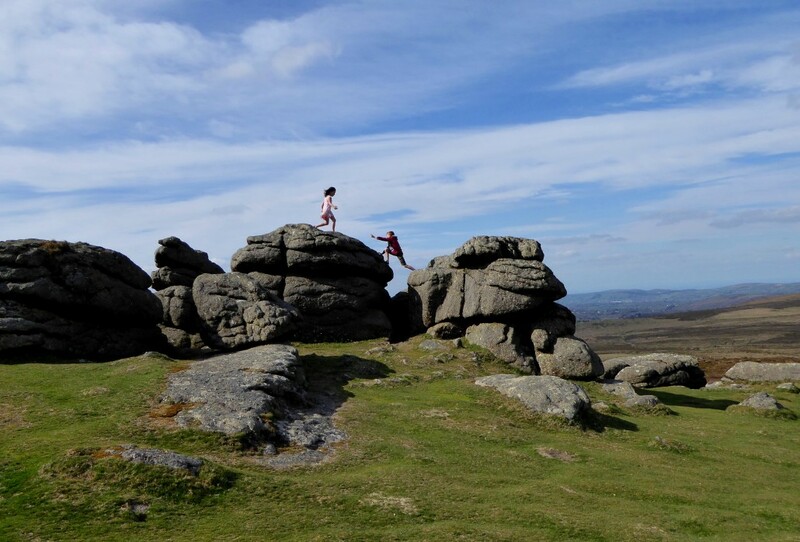 Pete and Andrea Moore, both experienced teachers, offer a series of child-led adventure days throughout the school holidays. 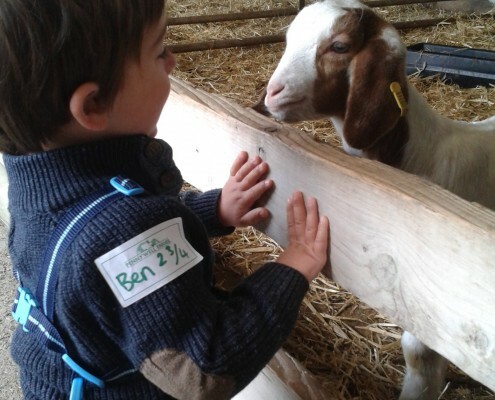 Once booked you can drop the children off knowing that they will have an energetic, action-packed day outdoors, exploring their natural environment and having lots of fun at the same time. 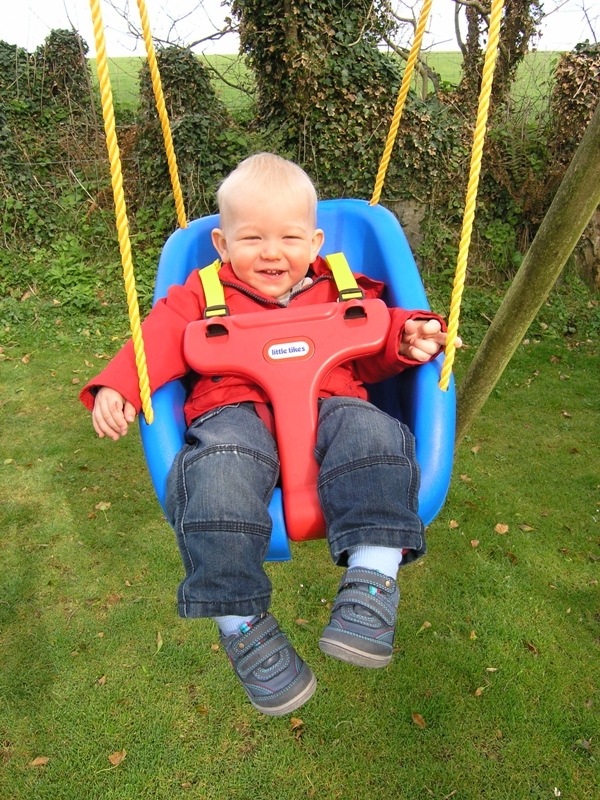 Children are supervised by experienced teachers on a high adult/child ratio. 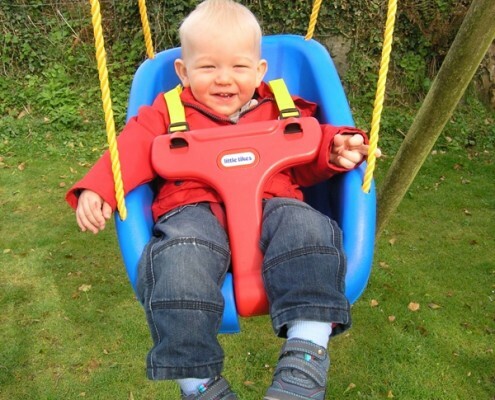 Park at Beesands, walk along by the shore towards Torcross, back inland next to South Milton Ley to watch the waterfowl, stop off at the small park for a go on the swings, then to the Cricket Inn for a cream tea. 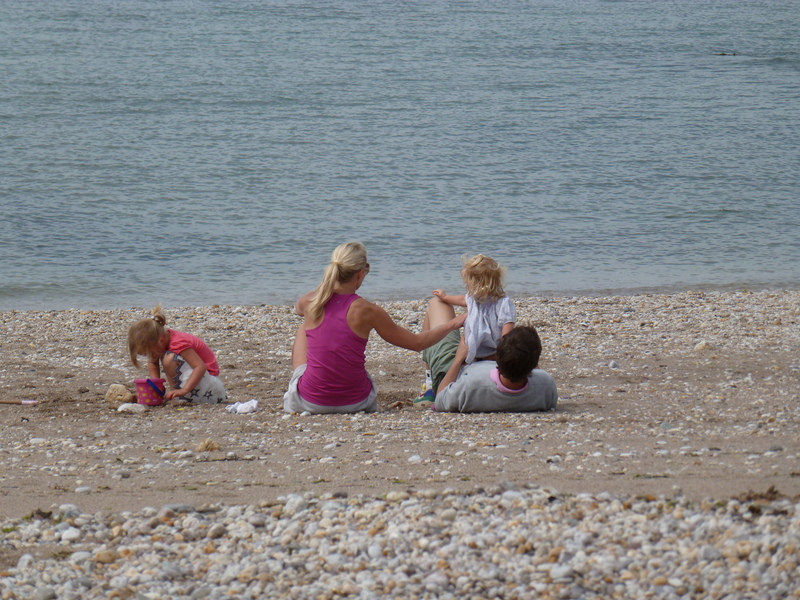 Park at Torcross and check out the old Sherman Tank to find out about the D-day landing practices, watch or feed the wildfowl in the Ley, pop down to the beach for a paddle, then back to the Start Bay Inn for the best fish n’chips in the family room. 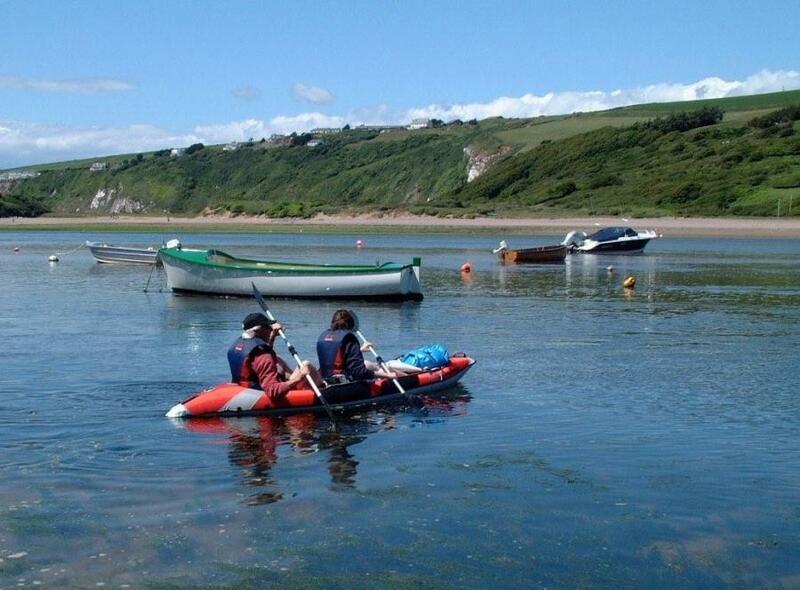 Park at Strete Gate and have a paddle on the beach, then try out the orienteering trail situated in the walled nature and picnic area. Park at South Milton Sands and walk along the wooden walkway over the small stream, down the steps to the beach, and back to car park in time for an ice-cream at the Beach Hut. 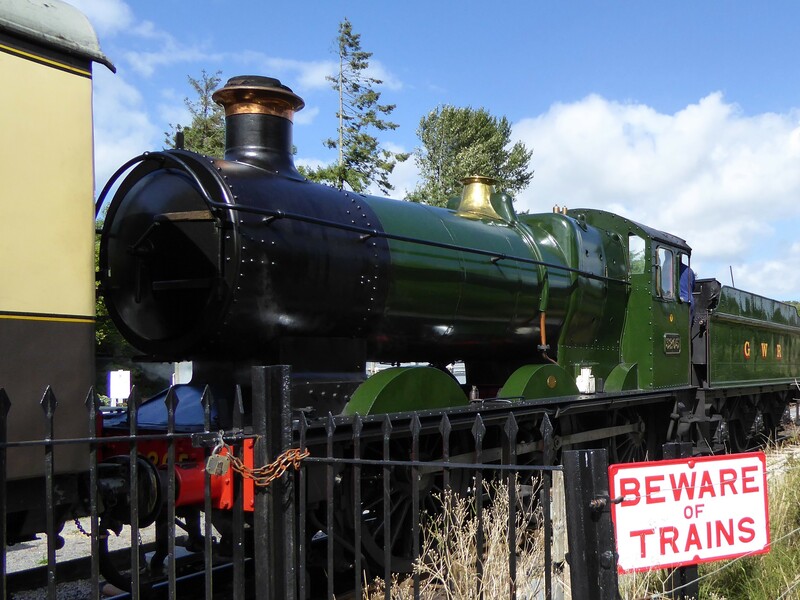 Park in the Totnes Pavilion Leisure Centre and walk towards the river and weir; visit the South Devon Steam Railway for an enchanting ride along the Avon river on a steam train. On your way back drop into the Dartington Cider Press Centre for tea, followed by a stroll through the beautiful Dartington Estate gardens. 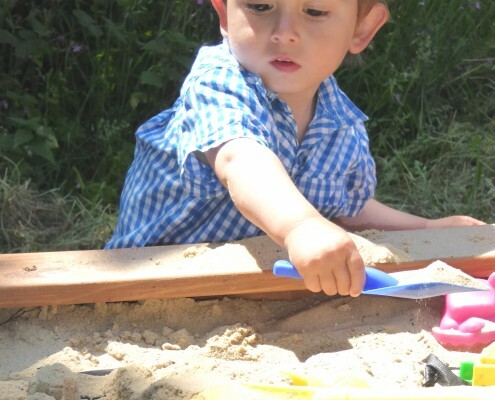 Time spent just playing on the beach building sandcastles and dams are the breath of life to children on holiday. There are some very special places to go to. Yarmer Beach at Thurlestone is great for rock-pooling as it has a good area of rocks to explore at low tide. 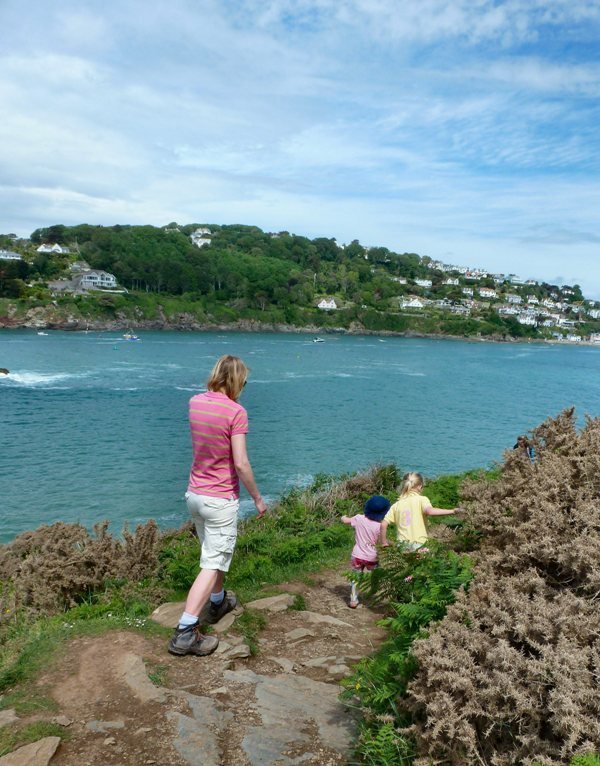 For fine sandy beaches both Hope Cove, Mill Bay opposite Salcombe (read Julie’s Blog: No Passports Required! ), and Bantham are perfect for sand sculpture. 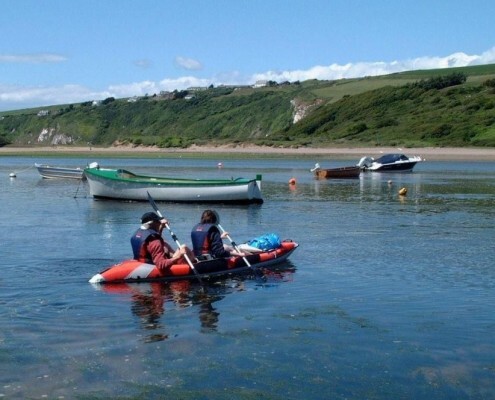 Blackpool Sands is ideal for a family day out with excellent facilities on site including award-winning Venus cafe, toilets, and water-sports hire and instruction. 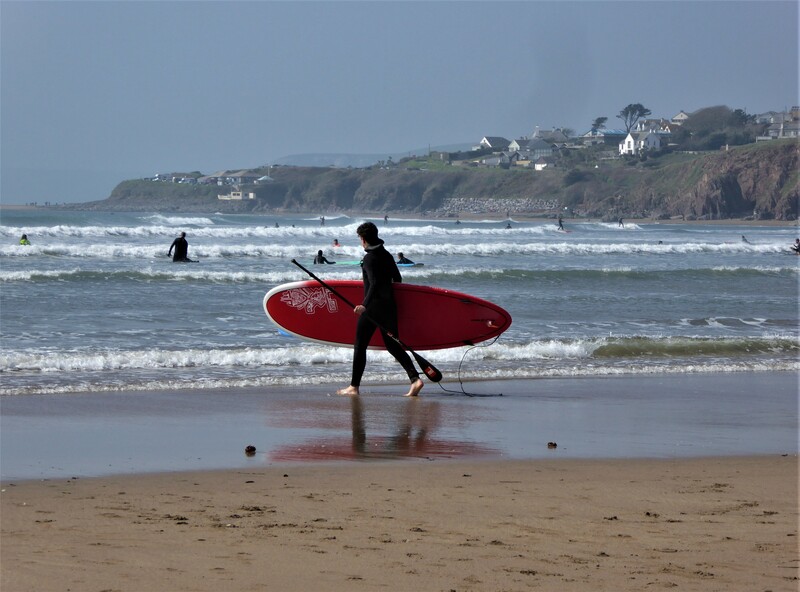 Other great, clean beaches with facilities include Bigbury, Bantham (excellent for surfing and body boarding), Salcombe North Sands and Slapton Sands/Torcross. 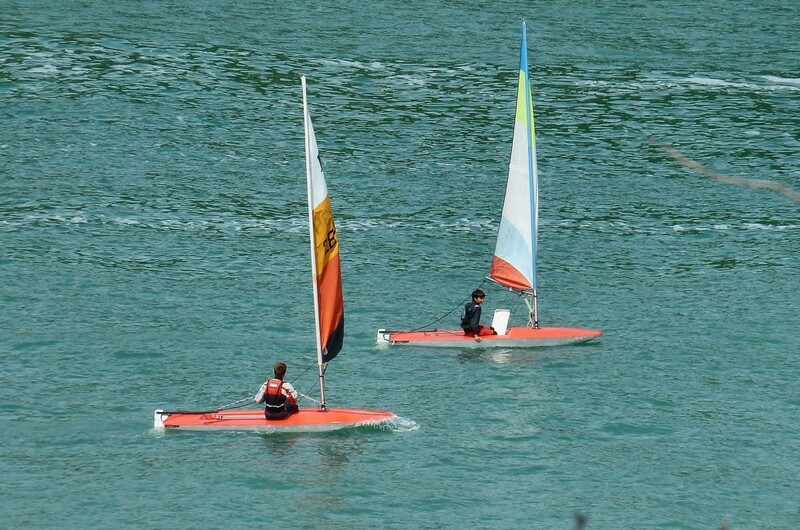 For more information about beaches and facilities please visit the Good Beach Guide website. Little Owls can be seen during the daytime around the old long barn, and perching on the stone ruins and apple tree guards in the orchard – they often see you before you see them as they are so well camouflaged. Butterflies and Moths from as early as April through to September. Some live here, but others, like the Clouded Yellow butterfly and Hummingbird Hawkmoth, come from other countries to spend the summer here. Tiny Frogs and Toads emerge from the ponds into the long grass in May and June, and later Dragonflies dance around the water. Mushrooms and Toadstools can be found under trees and in the long grass from the Spring onwards, but especially in the Autumn.Ducklings, Moorhen and Little Grebe babies hide in the rushes in the ponds from May to August. In early May the fox cubs are out playing with each other and learning to hunt. Early morning and evening are good times to look for them.From April onwards you may be lucky enough to see the Barn Owl hunting over the long grass at dusk. They won’t come out in wet weather as their feathers are not waterproof. Large white splashes in the trees and in the grass below the branches can tell you that a Barn Owl has been perching there. 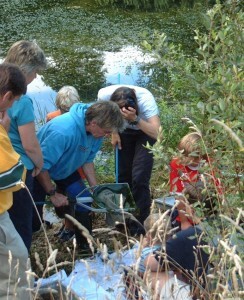 On a warm evening Bats emerge around dusk and feed near trees and over the ponds. A good area to watch bats is in the hedge ‘corridor’ at the back of the cottages. These are usually Pipistrelles and Noctule bats. Kingsbridge Miniature Railway is a delightful ride along the embankment for small children (and accompanying adults!). It starts near the Kingsbridge Tourist Information Centre £1 for a one way ride. Taylored Games is a is a specialist board, card and tabletop games shop in Kingsbridge. It’s friendly place to visit with games of all kinds which can be played in the shop or bought and taken home. Steam train ride on the South Devon Railway starting at Totnes (combined with a visit to the Totnes Rare Breeds Centre), which follows the River Dart and ends at Buckfastleigh. 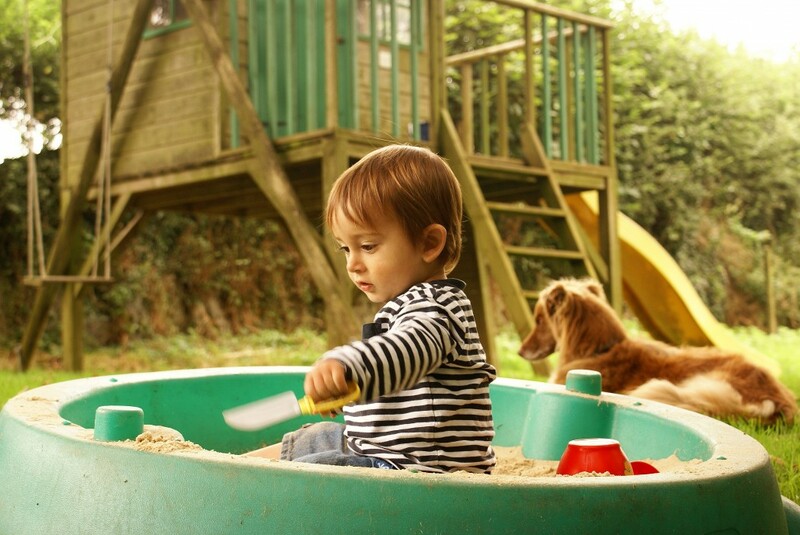 Spend a day at Woodlands Leisure Park (just 5 miles from Dittiscombe) in their indoor play zone, or find the action zone, toddler zone and water slides. Take the family to Dartmouth Golf & Country Club for a swim, sauna, jacuzzi and gym using our Privilege Plus membership at a reduced family price. Make a visit to the National Marine Aquarium in Plymouth which is open all day and has a daily programme of activities and events for children. A firm favourite with our guests is Paignton Zoo where you can close to over 2,000 animals from grand giraffes and cheetahs to the cheeky meercats and monkeys, plus an indoor play area and a Jungle Express train. A great day out for all the family. 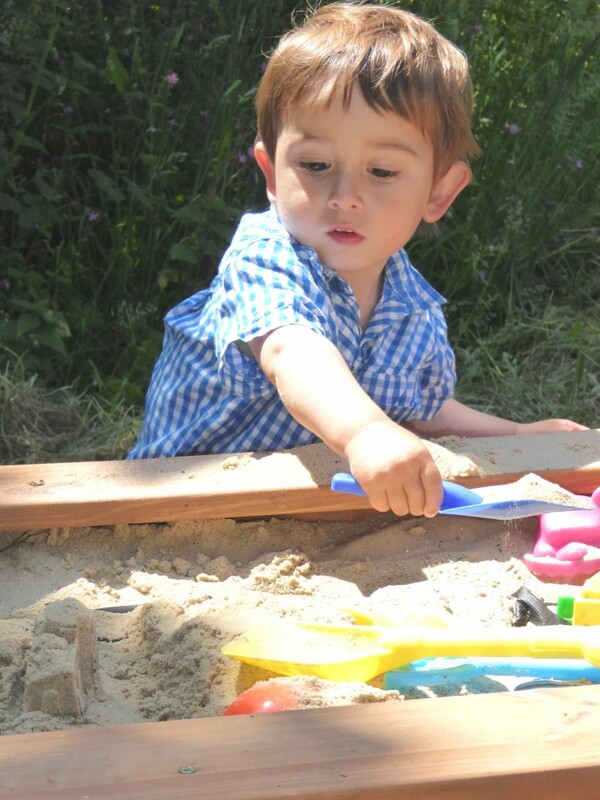 Perfect sandy beaches for those all important sandcastles!